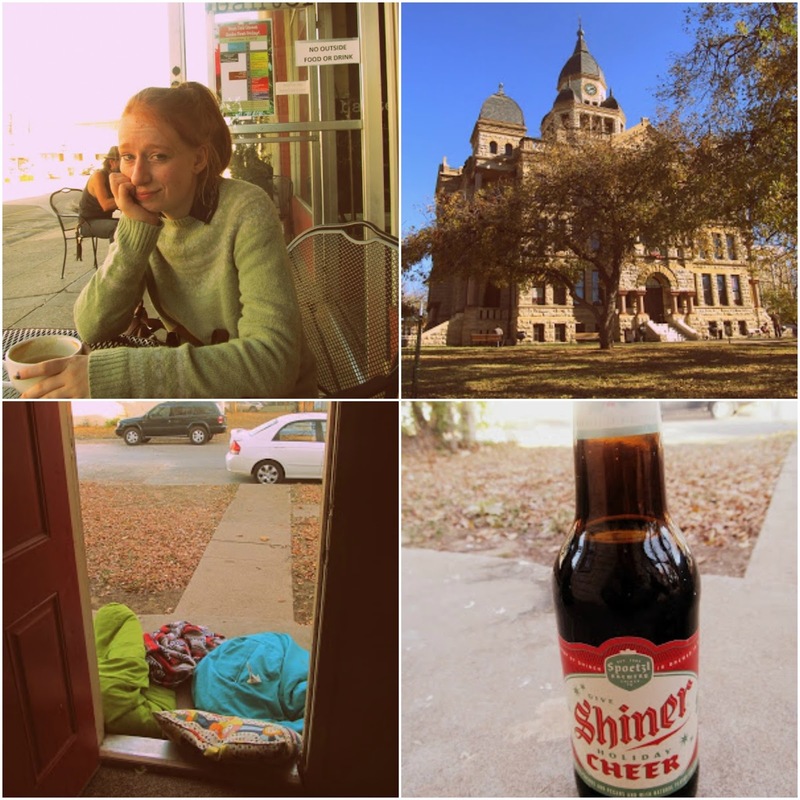 Three years ago today on Thanksgiving I was in Texas eating kolaches and guzzling cocktails with lovely friends. This year I'm in Leeds with a profound lack of pumpkin pie. Oh how I miss that place so much. The neon green drinks, the baroque architecture, the drawls. Despite this, there are a lot of things I'm thankful for. My friends, my family, my boyfriend, my job, my flat, to name but a few! Living and being in Leeds with all the wonderful things that are happening at the moment. And my memories of that slightly burnt turkey, the candied yams, the homecoming to the suburbs.